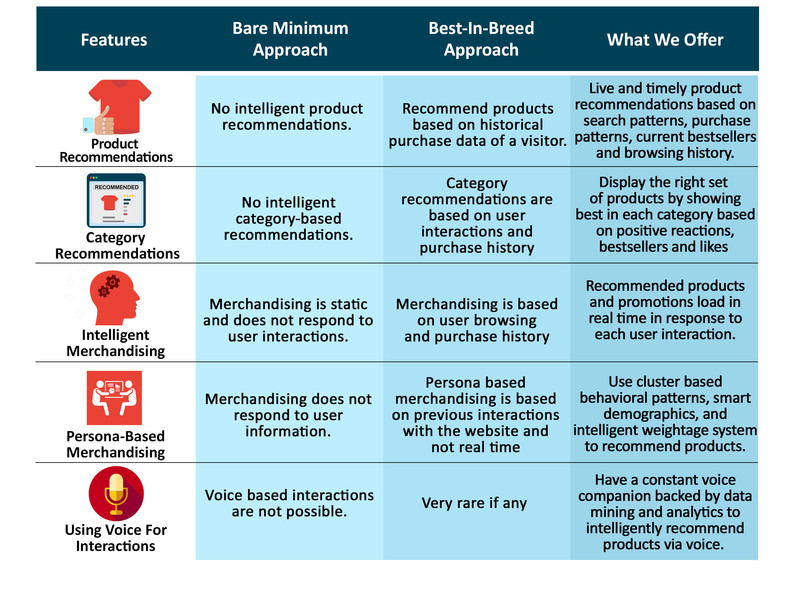 What Can Intelligent Commerce Do For You? Customers visit your website with a purpose. Understanding their wants, and showing them products they want to see, will keep customers returning to your website. Imagine the level of customer experience you can offer when you can intelligently merchandise to users not just based on their purchase history but in real time based on current interactions, bestsellers, promotions among many other criteria using Artificial Intelligence. Here is what your E-commerce portal can be capable of.